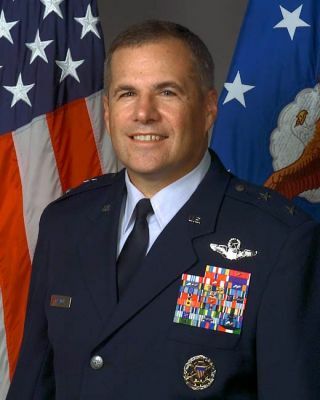 United States Air Force Maj. Gen. Scott Gration (ret.). This story was updated Jan. 14 at 10:39 a.m. EST. WASHINGTON -U.S. President-elect Barack Obama has asked retired Air Force Maj. Gen. ScottGration, one of his top foreign policy and military advisers during hiscampaign, to take the helm of NASA, according to a source informed of theselection. Anannouncement is expected as soon as Wednesday. he would be the first NASA administrator in history to be announced before the inauguration of an incoming president. Gration, adecorated fighter pilot who held senior policy positions in the military priorto his retirement, is a virtual unknown to the space community, but has someexperience with NASA. In 1982, as a captain and fighter pilot instructorrecently returned from Kenya, Gration spent a year as a White House Fellowworking for NASA's deputy administrator at the time, Hans Mark. Gration'slack of space experience should not preclude him from being qualifiedfor the job, said John Logsdon, a space policy expert here. "There are lots of NASA administrators who have come from other areaswithout a background in space," he said. "You want a guy who is aleader and can managea large organization." Asa pilot Gration logged more than 1,000 hours of combat missions, according tothe Air Force's Web site. He retired from active duty in October 2006. He wenton to campaign for Obama alongside former Navy Secretary Richard Danzig andretired Gen. Merrill McPeak, former Air Force chief of staff, as part ofObama's national security policy working group. Gration ledthe retired generals tribute during the National Democratic Convention inAugust, telling the audience he is a former Republican who met then-Sen. Obamain 2005 while serving as director of strategy, plans and policy at U.S.European Command. "That'swhen I met a leader unlike any I had met before," he said. "He askedtough questions, and he didn't settle for easy answers. It was this same way ofthinking that led him to get it right, when he opposed the war in Iraq, when hewarned of its consequences. That's the judgment of a leader." After theirmeeting in 2005, Gration accompanied Obama on a five-nation, 15-day tour ofAfrica in 2006. Gration,the son of missionary parents, spent part of his childhood in the Congo andspeaks Swahili fluently, according to a Newsweek article published in August2007. He joined the Air Force in 1974 through the Air Force Reserve OfficerTraining Corps at Rutgers University in New Brunswick, N.J., where he earned abachelor's degree in mechanical engineering. He earned a master's degree innational security studies from Georgetown University in Washington in 1988.